The Rimington Trophy committee is proud to announce the recipients of the 2012 Rimington Award, recognizing the most outstanding centers in the NCAA’s FCS, Division II and Division III, as well as the NAIA. 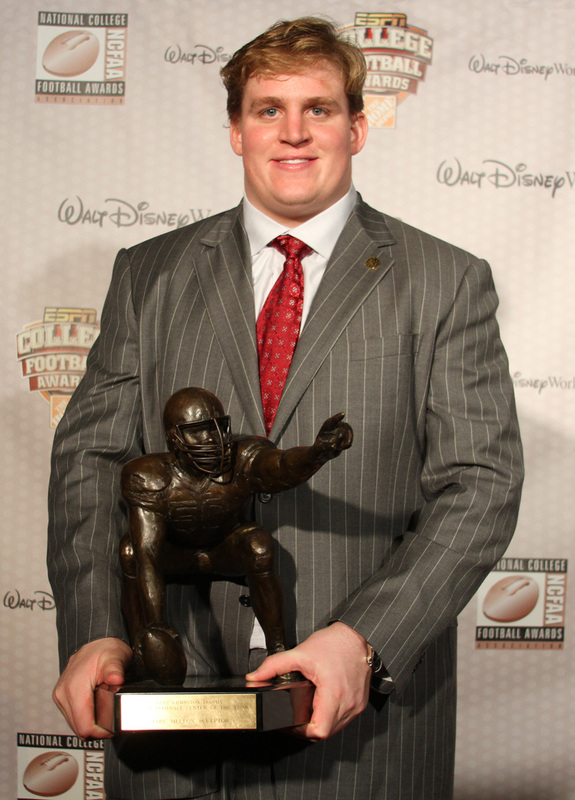 University of Alabama senior Barrett Jones has been named the recipient of the 2012 Rimington Trophy. He became Alabama’s third finalist for the Rimington Trophy and is now the first center from that school to win the Rimington Trophy. 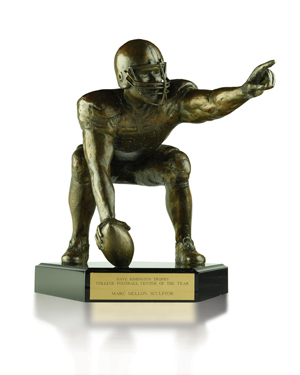 Finalists for the Rimington Trophy, presented to the outstanding center in college football, are Mario Benavides (Lousiville), Braxston Cave (Notre Dame), Dalton Freeman (Clemson), Khaled Holmes (USC), Barrett Jones (Alabama), and Matt Stankiewitch (Penn State).